Directed by James Wan. With Jason Momoa, Amber Heard, Willem Dafoe, Patrick Wilson. 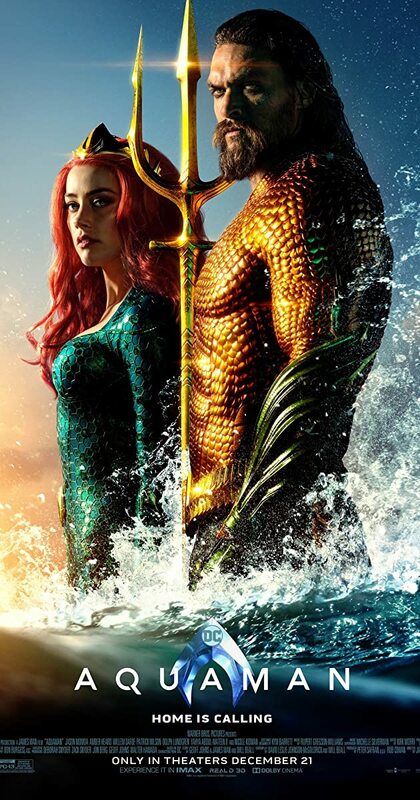 Arthur Curry, the human-born heir to the underwater kingdom of Atlantis, goes on a quest to prevent a war between the worlds of ocean and land.